This individual caused tremendous damage to me and day dreamed about how he will block my video channels(from possible online income to video view counters). He repeated assault on my Japanese video sharing website just two days ago(all my video view counters are now blocked there as well just as the case was/is with youtube/ dailymotions/ rutube/ and so on)...Benyamin Netanyahu bragged about buying video platforms of his victims to seal their faith and such was also my case. Why this bill you ask yourself !!???? I will probably get ahold of videos/recording which will prove all of my statements in respect to MKULTRA and that heavily involved Netanyahu as well. His last action(today) against Israeli people alone only proves that man is not completely sane in his head and is as such a threat even to people of Israel(worst example for democracy - what internet censorship is). Now even against Israeli people in the state of Israel - not cool Benji !!! 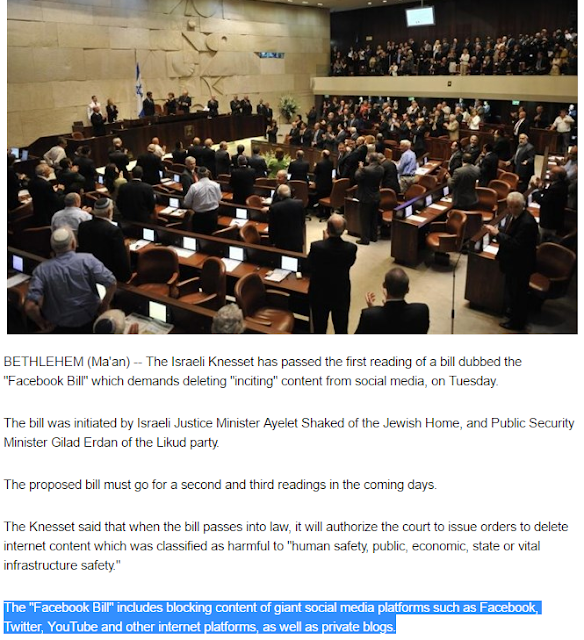 BETHLEHEM (Ma'an) -- The Israeli Knesset has passed the first reading of a bill dubbed the "Facebook Bill" which demands deleting "inciting" content from social media, on Tuesday. 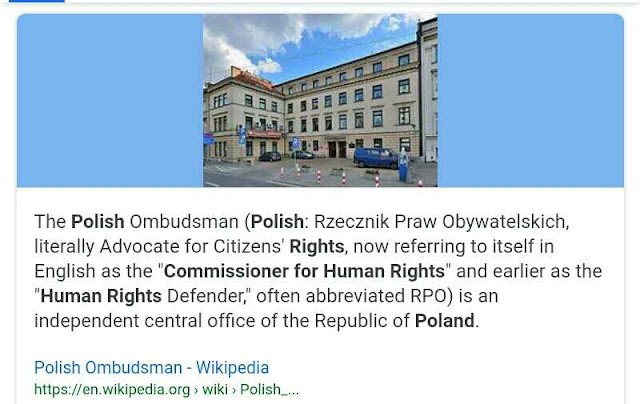 The bill was initiated by Israeli Justice Minister Ayelet Shaked of the Jewish Home, and Public Security Minister Gilad Erdan of the Likud party. The proposed bill must go for a second and third readings in the coming days. 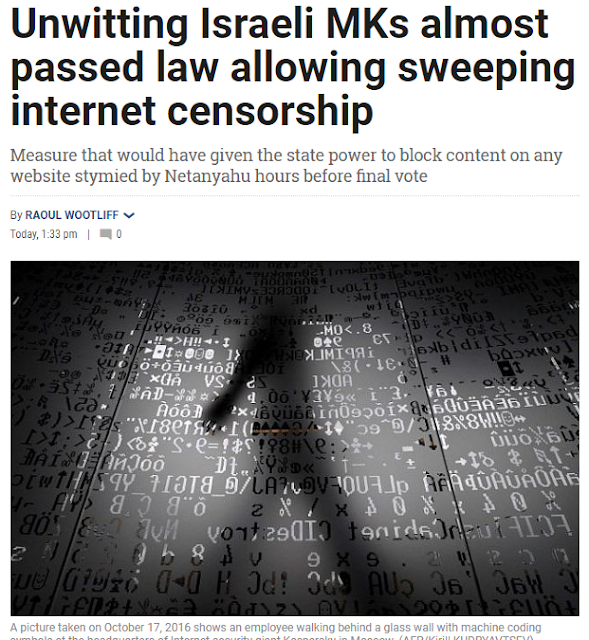 The Knesset said that when the bill passes into law, it will authorize the court to issue orders to delete internet content which was classified as harmful to "human safety, public, economic, state or vital infrastructure safety." The "Facebook Bill" includes blocking content of giant social media platforms such as Facebook, Twitter, YouTube and other internet platforms, as well as private blogs. The bill also includes search engines like Google, in which it would be able to block certain "unsafe" content from appearing in the search results. According to an Israeli news outlet, Justice Minister Shaked said that "Israel is fighting terror on the web." MK Revital Swid of the opposition Zionist Union, expressed concern regarding the bill could be more likely used “not for incitement but terror.” Swid continued to warn the Justice Minister and Public Security Minister that the bill should not harm the freedom of speech or the right to protest. On Wednesday, the Israeli Prime Minister Benjamin Netanyahu asked the Israeli Knesset to halt the “Facebook Bill” out of concern that freedom of expression could be harmed. Netanyahu believes that the current version of the proposed bill could be interpreted too broadly and might not guarantee Israeli citizens the right to freely express their criticism through the online platforms. He added that the bill should not allow Israeli police to ask court to remove anything from the internet that they classify as “incitement” without the person who posted it online even being able to respond to it in court. Thus, allowing the censoring of opinions. It is noteworthy that many Palestinians have turned to social media as a non-violent way of expressing criticism and anger over human rights violations, and as a way to share the everyday reality of Palestinian people under Israeli occcupation. The bill, if passed into law, could be used to silence this form of free speech. Thus, extending the occupation into the online world.